Check out the newspaper article in the Deh Cho Drum. Find all the results in our post about the tournament. Here is some Even information. 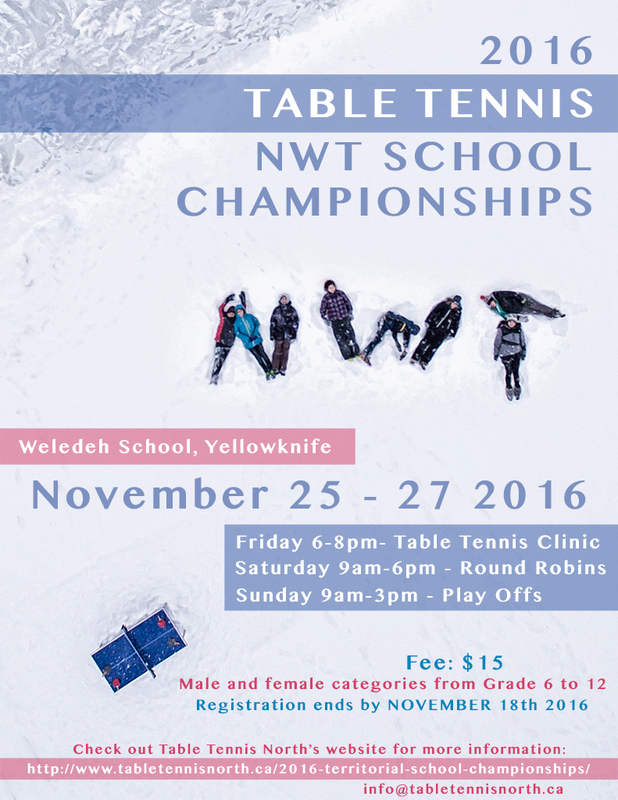 Weledeh School and Table Tennis North are excited to host the 2016 Territorial Table Tennis School Championships from November 25-27th 2016. Depending on participants, we might add categories. There is a $15 fee to participate in the tournament. That does not include accommodation and food for the weekend. There is a possibility to stay at Weledeh School. The cost is $25 per class room per night. Please contact Ulli Nolting for more information at ulli.nolting@ycs.nt.ca. Best out of 3 for all categories in the round robins, best out of 5 in the play offs. We will follow the rules of the International Table Tennis Federation and will explain more at the clinic on November 25th 2016. If you have any questions, please contact info@tabletennisnorth.ca and we will be happy to help you. Deadline for registration is November 18th 2016. 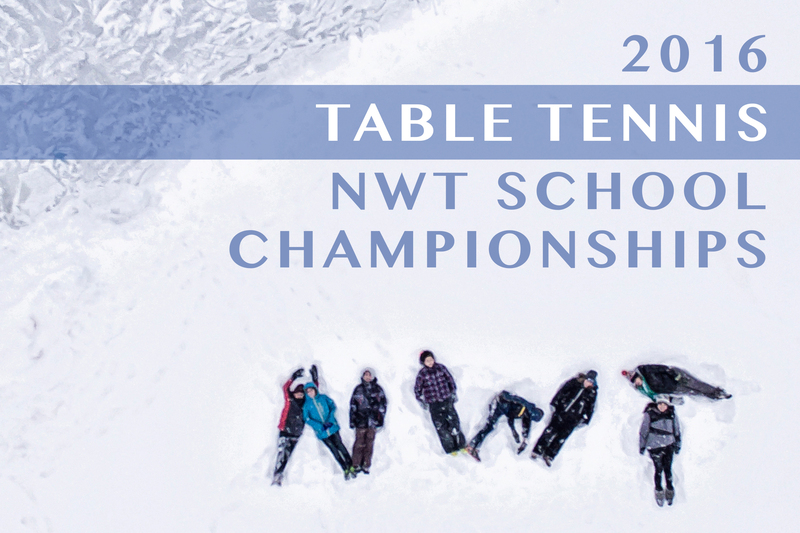 If you have any more questions, please contact info@tabletennisnorth.ca. Thank you! We are looking forward to seeing you in Yellowknife on November 25th 2016!! !